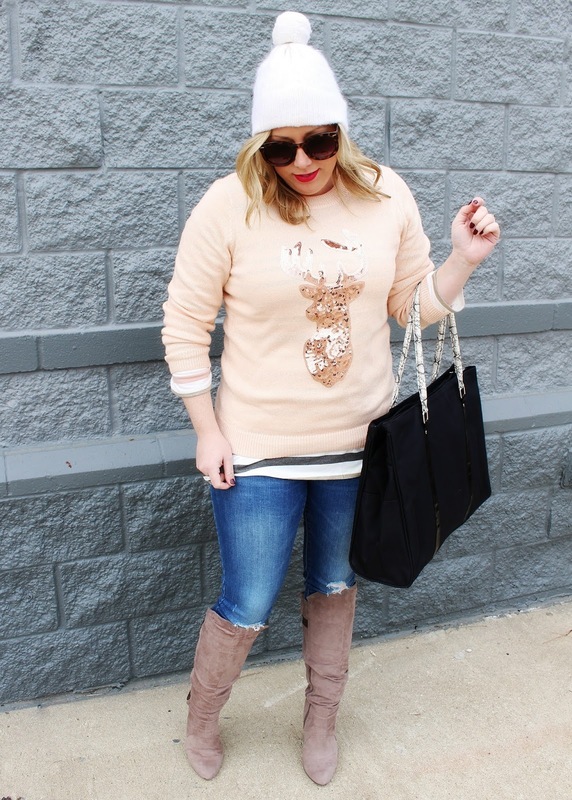 Today I am sharing some more winter inspired looks for the holidays! 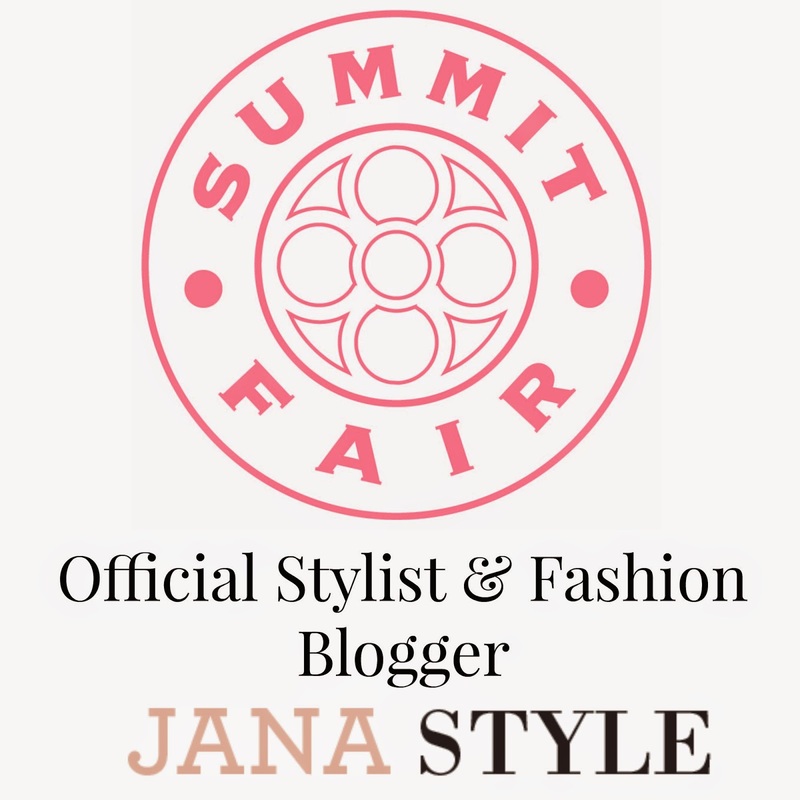 I've been sharing so many evening-wear and party looks over the last couple of weeks so, today I wanted to share a more casual way to style and restyle a look for both day and night! 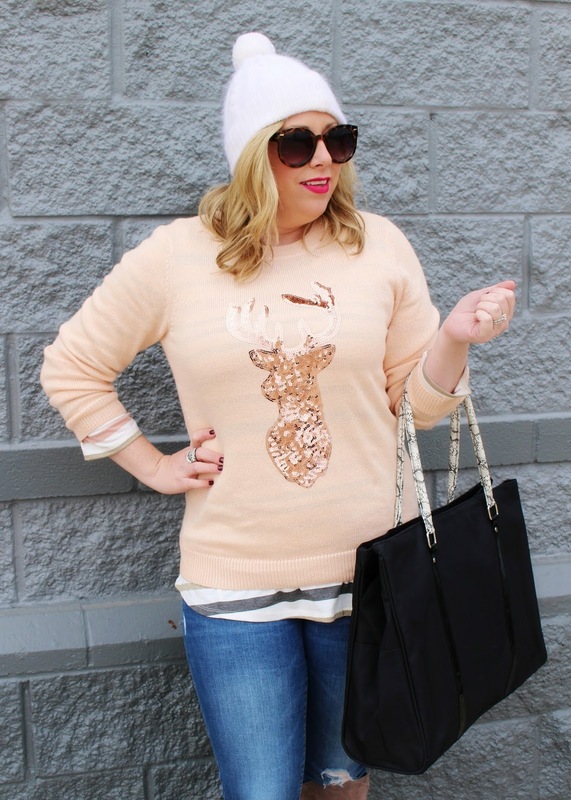 How adorable is this sequin reindeer sweater!?! 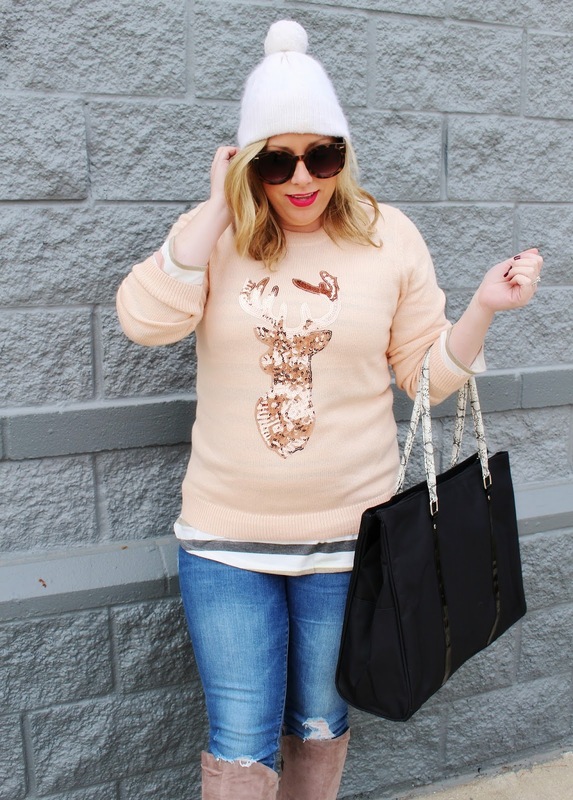 This style also come with an adorable antler bird and penguin design too! Obsessed!!! 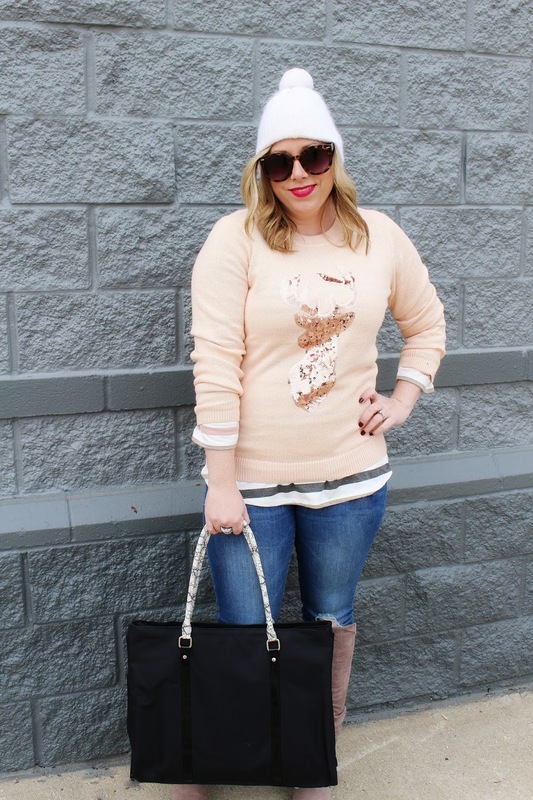 The store at Summit Fair had several more available sizes than what is left online so, head out to the store and snag one of these adorable sweaters before they are gone! It's the prefect weekend look for shopping, tree trimming, and just overall looking festive! 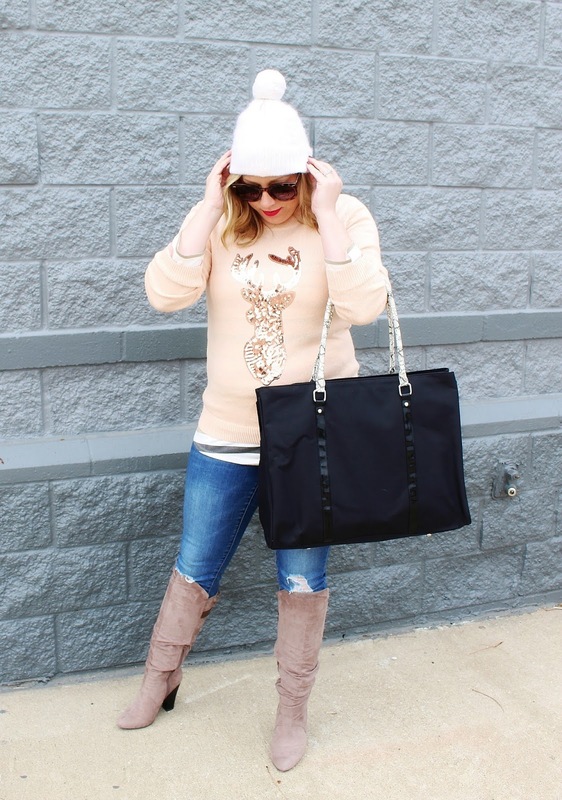 You could also pair it with a cozy pair of leggings and slippers for a lounge-worthy look you'll never want to get out of...more on that below! Snow is in the forecast this week so bundle up with a pom-pom stocking cap and pull on you tallest boots! I'm crossing my fingers for a white Christmas and tons of extra time with family and friends! 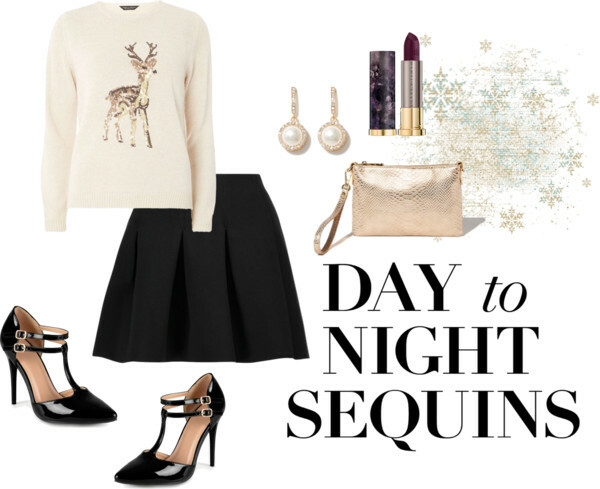 Create a evening look with your reindeer sweater for festive holiday style! Pair it with a black skirt and t-strap heels for a classy party look! 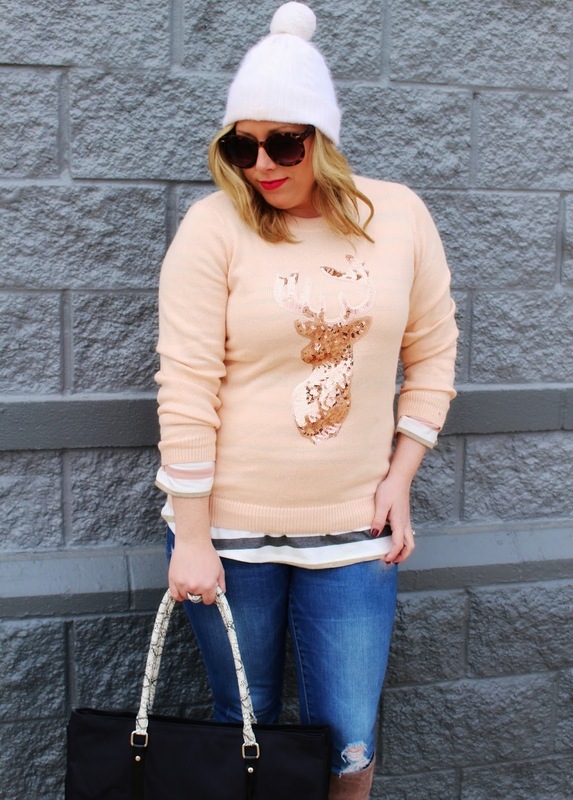 Another possible way to style this cute sweater is to pair it with your favorite cozy leggings! 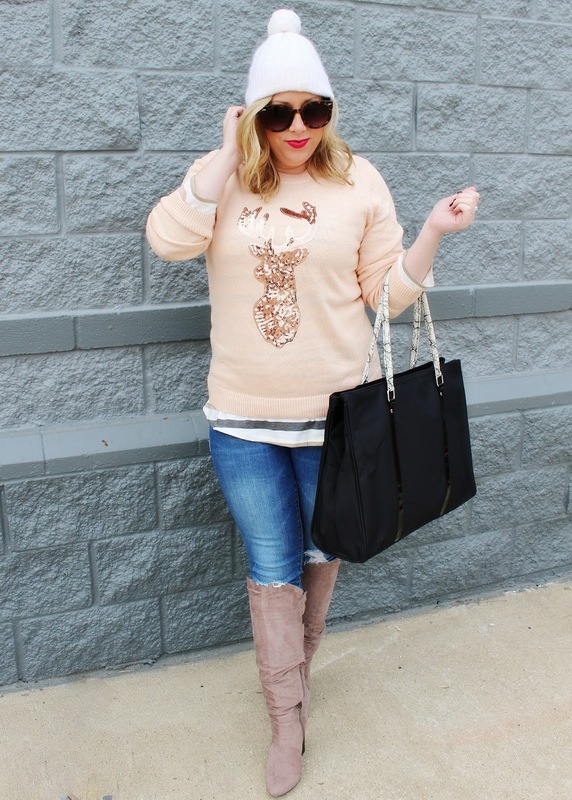 This look is perfect for staying in where it's warm, sipping on hot cocoa, and wrapping presents! 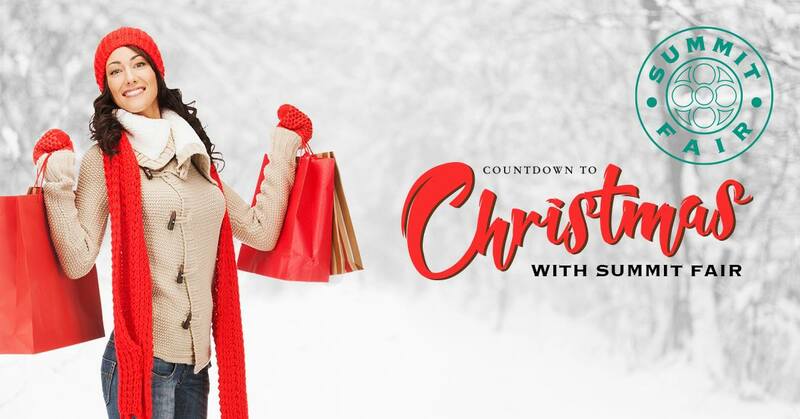 Don't forget the Countdown To Christmas With Summit Fair sweepstakes is still going on!!! 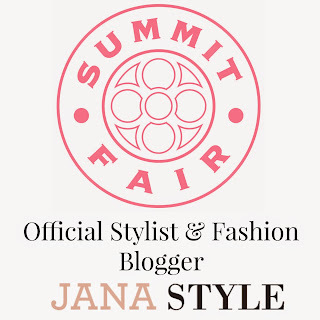 Enter to WIN Weekly Prize Packages from Summit Fair! Enter this week's drawing HERE!